Papaji’s teachings shine a light on barriers to enlightenment and encourage leaping beyond them. 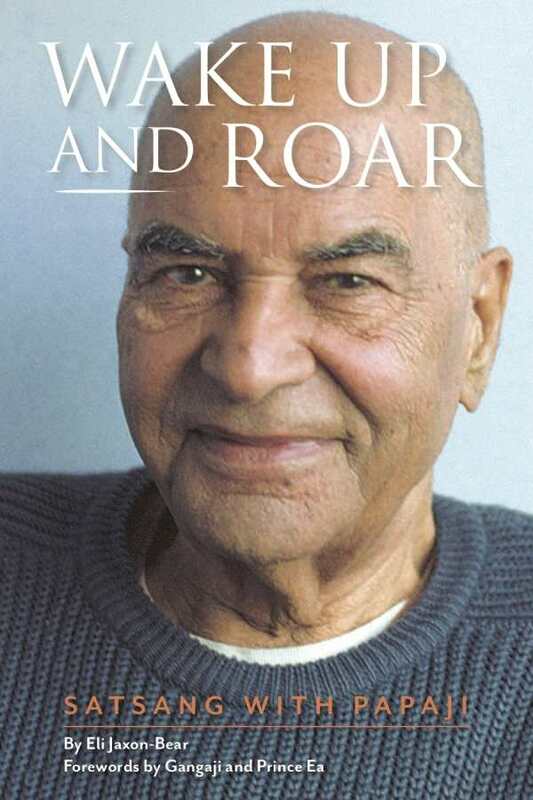 Wake Up and Roar is Eli Jaxon-Bear’s compilation of the teachings of Sri H. W. L. Poonja instructions on shattering illusions, entering into silence, and coming into one’s true self. A devotee of Sri Ramana Maharshi, Papaji invited all who came to him to let go of practices, rituals, therapies, pilgrimages to holy places, teachers, and the lifelong search for something that seems forever just beyond reach. Instead, he advocated going within, “where there is no distance and nothing to do,” to come to the realization that the seeker is consciousness itself, the eternal I am. Papaji’s teachings are presented in an easy-to-follow question-and-answer format, making clear the source of barriers to enlightenment: walls of separation in the mind, and desires and cravings that bind one to the wheel of birth and death, suffering in the attempt to sate them. Freedom, beauty, love, and “immaculate eternity” can only be found within, he argues, and there is no need to wait. The book is divided into two sections, the first revealing the essence of Papaji’s teachings, and the second, coming after his popularity had grown to include a wider, more diverse audience, giving greater attention to the topics of desires, traps to be aware of, and the requirements for meeting a true teacher. Stories are included to captivate the mind and heart, bringing the teachings to life. Language is fresh and natural as Papaji, a witty and engaging teacher, responds to questions, wasting no time getting to the essence of the topic, and placing the responsibility for attaining enlightenment where it belongs—in the hands of each person. A helpful glossary, engaging information on Eli Jaxon-Bear, a brief biography of Papaji, and several lively and compelling photos enhance the book’s message and reading pleasure. “Religions, practices, scriptures, even concepts of God must be abandoned to attain freedom,” taught Papaji. “Yes, there is a leap, and there is the fear of emptiness—no name, no form.” It is a leap we must make alone, and there is no path to follow. But lions do not walk on a path anyway. Eli Jaxon-Bear’s Wake Up and Roar succinctly and accessibly calls out to its audience’s inner lion, reminding it that freedom really is available right here, right now.